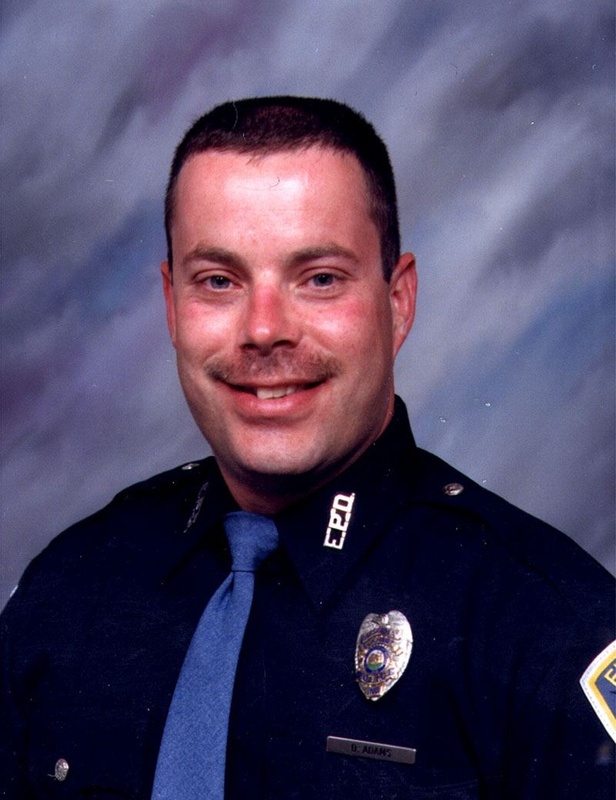 Patrolman Douglas Adams was killed in an automobile accident involving two police cruisers at West Franklin Street and South Main Street. The two officers were responding to back up an officer who was in a foot pursuit at the time. Their cruisers collided at an intersection, killing Patrolman Adams instantly. The officer in the other cruiser suffered minor injuries. The suspect involved in the foot pursuit was eventually captured. He was convicted of drug trafficking and resisting arrest, and was sentenced to 20 years in prison. Patrolman Adams was a U.S. Air Force veteran. 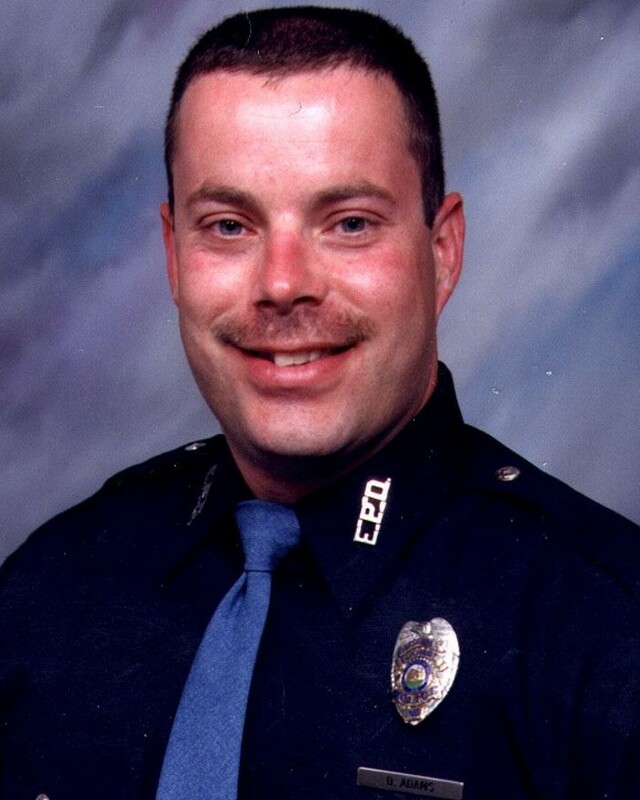 He had served with the Elkhart Police Department for 11 months and had previously served as a reserve officer with the Liberty City Police Department. He is survived by his wife.